Double side engraved with your custom quote, logo, date, etc. Snap release to add additional items to your custom key fob. Each piece is hand dyed, oiled, distressed and finished in house. 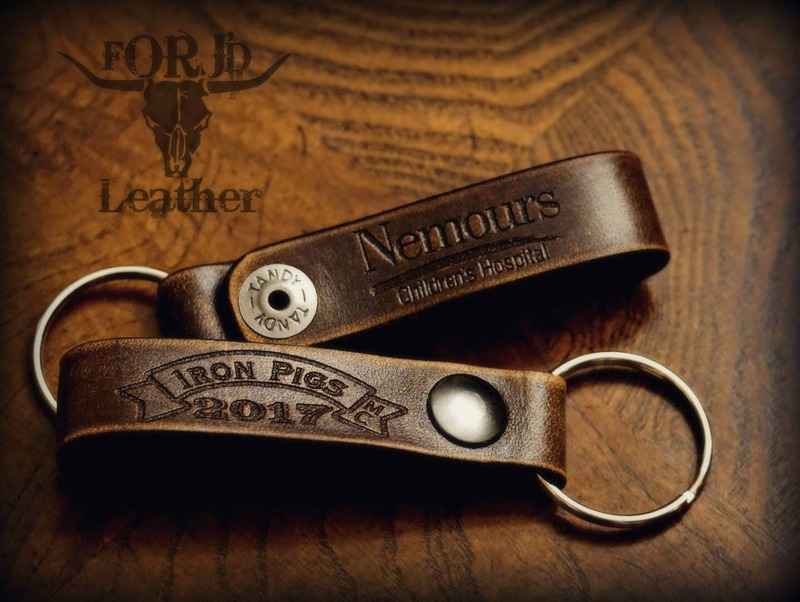 We use premium quality single bend, 7 ounce leather on all of our leather key fobs. Made in America!